Acer is taking aim at Chromebooks ahead of Computex 2016 with a pair of 2-in-1s targeting students and budget-conscious families. 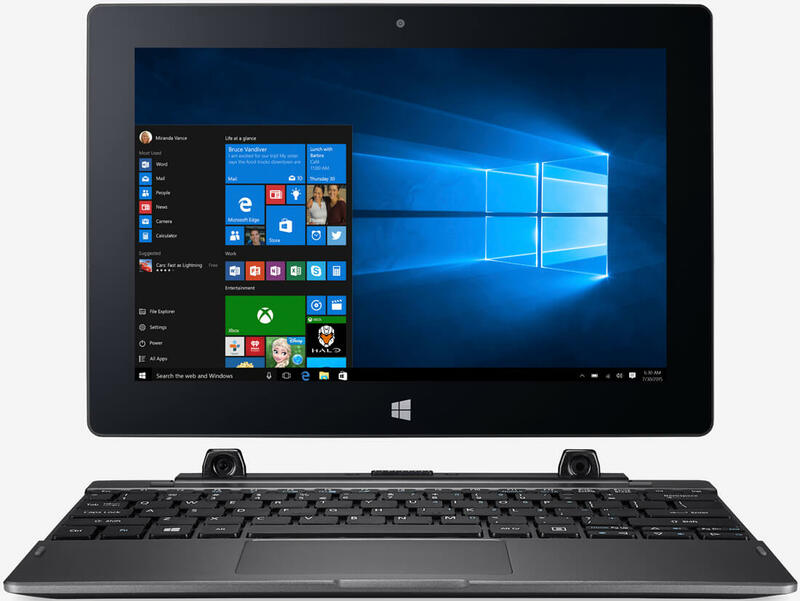 The Acer Switch One 10 and Switch V 10 both feature quad-core Intel Atom processors, multi-touch 10-inch IPS displays and precision touchpads that support Windows 10 gestures. Both transform effortlessly from a traditional laptop to a tablet and into what Acer calls Tent and Display configurations for watching videos and giving presentations, respectively. The Switch One 10 in dark metallic grey is the more entry-level of the two models, capable of the sort of basic functions you’d expect from a 2-in-1. It’ll be priced at $199 when it goes on sale in July. The Switch V 10, meanwhile, offers additional amenities. Buyers can choose from five colors – white, black, red, blue and dark blue – with other features including a speedy USB Type-C port and dual-band 802.11ac Wi-Fi. Its screen is coated with a layer of antimicrobial Gorilla Glass from Corning and there’s even a built-in fingerprint reader that can be used to log into the machine via Windows Hello. Acer is offering the 2-in-1 with your chocie of 32GB or 64GB of local storage. The company mentioned the possibility of pairing the Switch V 10 with a keyboard dock for an additional 500GB of storage and two extra USB ports or a smaller keyboard dock for improved portability. The Switch V10 goes on sale in North America in the third quarter with pricing starting at $249.